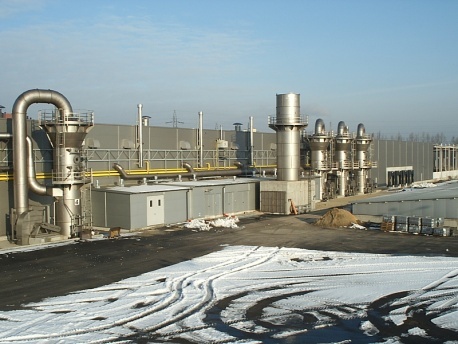 TVT Termoventiltecnica starts its activity from the construction of air treatment plants. The typical structure of handcrafted plant, founded by Mr Giovanni Picciol, grew into the stable and concrete industrial en-terprise. The head enterprise of TVT is sit-uated in Italy. The produced equipment is used in all kind of industries and sectors. Nowadays the company is famous at the in-ternational market. Thirty years or so later, TVT has reached a leadership in gas suction, filtration and en-ergy-recovery systems. We have been always looking for the best solution for every single client starting from the managing of already existing solu-tion to the delivery of the new “ready-to-use” plant. Moreover, we have always been looking and putting our attention to the environ-ment. The continuously research and sev-eral norms for emissions in atmosphere bring our enterprise to on-going moderni-zation of our technology used to produce the plants. 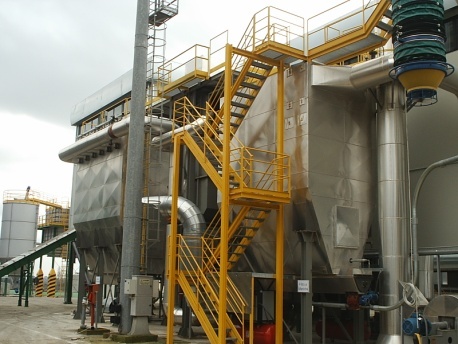 Filtration plant for melting furnaces (induction, reverberative, arc, rota-ry, combustion, cupola and other furnaces) with CO oxidation, SOx and dust abatement, etc.